Harris L. Friedman is a former Research Professor of Psychology at the University of Florida, USA, and Emeritus Professor at Saybrook University, USA. A Fellow of the American Psychological Association and past President of the International Transpersonal Association, he continues to practice psychology and is the current Chair of the Transpersonal Psychology Interest Group of the APA’s Society for Humanistic Psychology. Professor Friedman has published extensively on transpersonal psychology and is senior editor of the International Journal of Transpersonal Studies and associate editor of The Humanistic Psychologist. Glenn Hartelius teaches in the doctoral program at Sofia University’s School of Transpersonal Studies, Palo Alto, USA. He is editor of the International Journal of Transpersonal Studies and Secretary of the International Transpersonal Association. 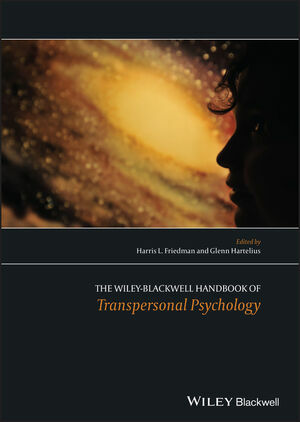 Dr Hartelius has published work in the fields of transpersonal psychology and consciousness studies, and has taught at the California Institute of Integral Studies as well as at Naropa University in the state of Colorado. He has thirty years’ experience in private practice as a somatic counselor and practitioner.